Hello Autumn Free PrintableAutumn is my favorite time of year and I welcome it with open arms! There are so many aspects of Autumn to LOVE: the weather, the colors, the food and much more. 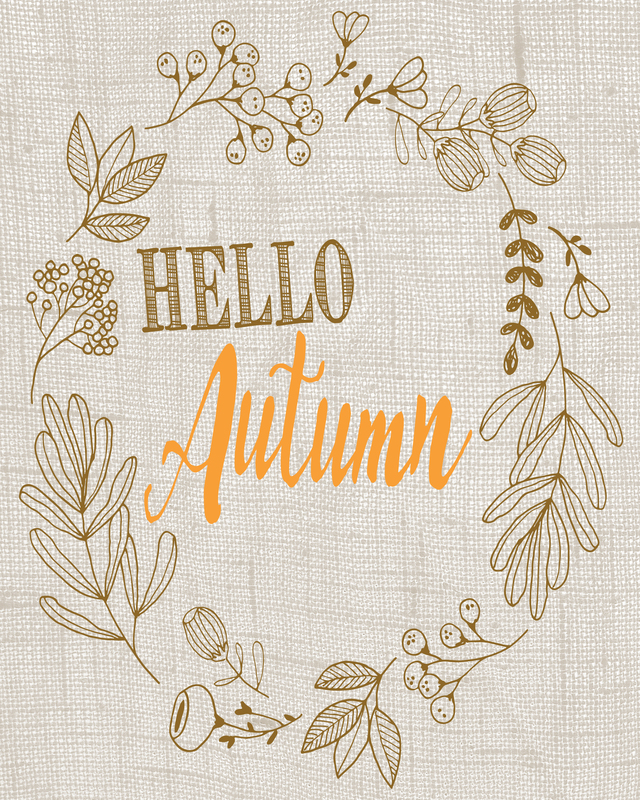 To welcome the changing season I love to decorate my home accordingly and this “Hello Autumn” printable is a perfect addition to my Fall decor! Of course I am sharing it with you too! This printable is designed to fit within an 8×10 frame. Print at home or at your local photo center. For DIY, I recommend printing on card stock paper or photo paper. Just open, print, trim if necessary and display in any space! >>Click HERE to DOWNLOAD JPEG File Hello Autumn Printable<< Right click image, then select Save Image As. Fall is my favorite season to decorate for and this looks really neat!